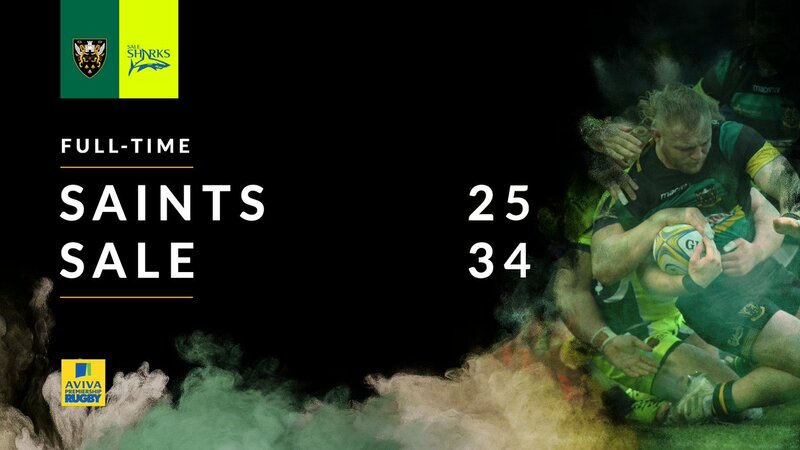 A gap opened in the defence and Ken Pisi took full advantage. Cameron Neild has made 20 good tackles so far this game. The defensive line has been broken as Nafi Tuitavake goes through the gap. What a run here by Denny Solomona as they gets over the gainline!. 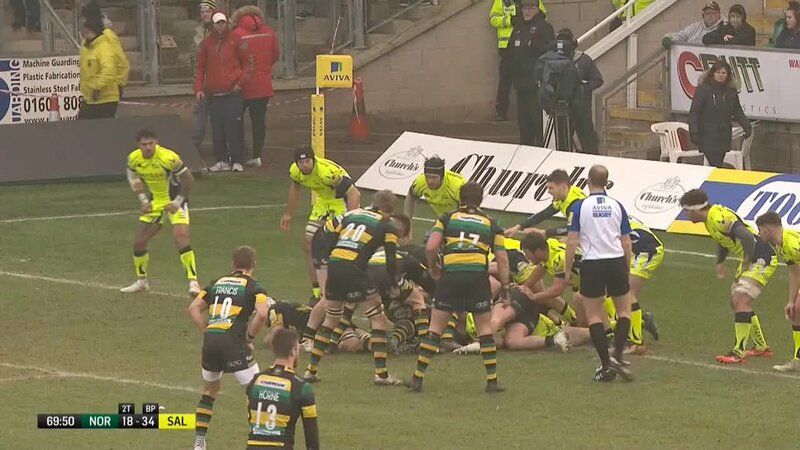 Northampton have won 120 rucks so far this game. Jacobus Reinach sets up the try. Heinrich Brussow scores the try from close range. WillGriff John has made 20 good tackles so far this game. Northampton sub Jamal Ford-Robinson comes onto the field. Campese Ma'afu leaves the field. Will Addison makes the break as the defence re-enacts the parting of the red sea. Faf de Klerk steps up to take the penalty but pulls it wide and to the right. Mike Haley (Sale) is shown a yellow card. Piers Francis has hooked the conversion to the right of the posts. Silky skills by Northampton ends with a try for Rob Horne. Josh Strauss has made 20 good tackles so far this game. Will Addison has made 10 good tackles so far this game. Northampton decide to make a substitution, with Reece Marshall getting some game time. Northampton decide to make a substitution, with Heinrich Brussow being replaced. 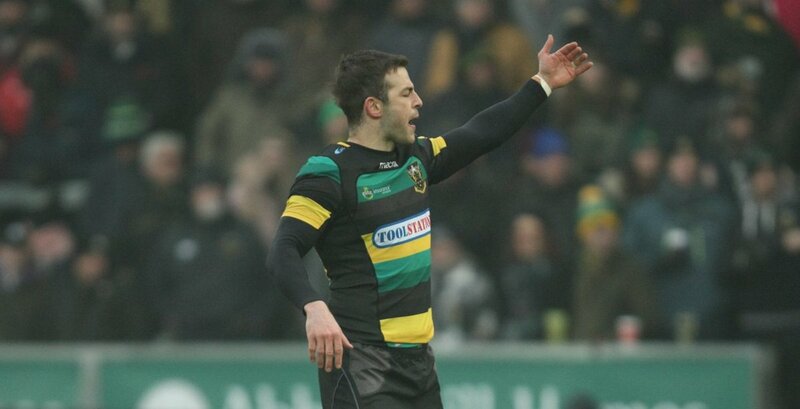 Northampton make a substitution with Stephen Myler coming on. Northampton make a substitution with Luther Burrell coming off. Spellbinding play by Nic Groom is finished off with a try. Piers Francis adds the two points for Northampton. Northampton are only a few metres out, surely they must score! And they do with Michael Paterson touching down. 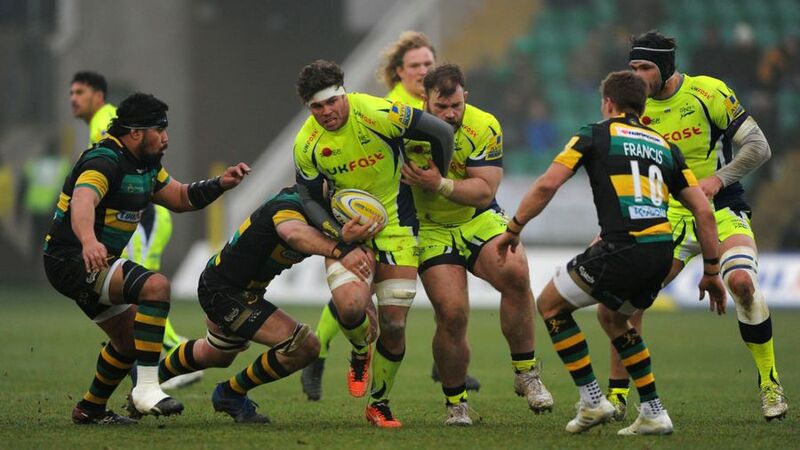 Jonathan Ross (Sale) is shown a yellow card. Sale sub Cameron Neild comes onto the field. Faf de Klerk does the business as his conversion attempt goes over. The kick through from Sale has allowed Marland Yarde to touch down. Faf de Klerk makes no mistake with that conversion attempt. Faf de Klerk played a key part in that try. A wonderful passing move by Sale is finished off by Denny Solomona. This is dangerous for the defence as Denny Solomona bursts through to advance the Sale attack. Piers Francis makes no mistake with that penalty goal attempt. Faf de Klerk converts the try. That's a great try assist by Mike Haley. A series of passes by Sale results in a try for Denny Solomona. Piers Francis kicks the penalty. Tom Wood leaves the field. @elehelp @Harlequins @bathrugby Hi John, yes it will be shown. 💬 "To give any side a 30-point start, especially at home, is unacceptable." 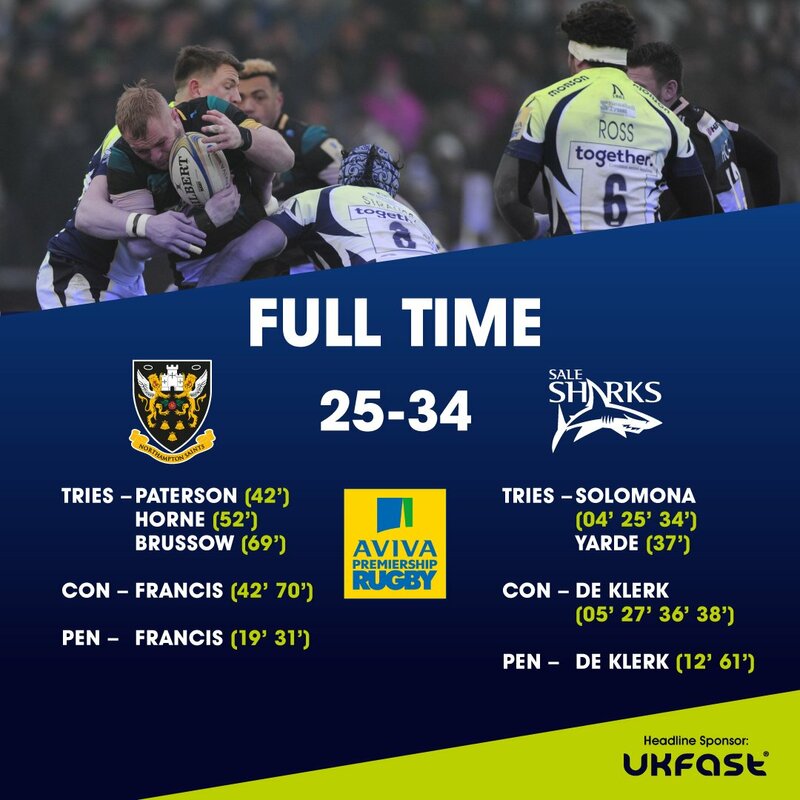 🦈🔥@DennySolomona did an absolute job on @SaintsRugby today! Check out his first half hat-trick below!!! RT @jfordrob: Apologies to everyone that put in such a massive effort to keep the game on today, your efforts were not rewarded.